Port Maizuru regular calling – StormMarine – If you want to get ahead, get a Storm Marine. Maizuru (舞鶴市 Maizuru-shi?) is a city in Kyoto Prefecture, Japan, on an inlet of the Sea of Japan. The city was founded on May 27, 1943. As of 2015, the city has an estimated population of 84,016 and a population density of 246 persons per km². The total area is 342 km². Maizuru is a city rich in nature, located on the scenic Maizuru Bay. Maizuru Harbor is located in Maizuru Bay, from which travel to Hokkaidō is possible via the Sea of Japan. Maizuru’s development was greatly spurred after the naval port was installed in 1901. In the Russo-Japanese War, many warships were based there, due to its proximity to the Sea of Japan. After the Second World War, Maizuru was a key port for returning Japanese servicemen and detainees from continental Asia for over 13 years. Today, Maizuru is a key district headquarters for the Japan Maritime Self-Defense Force. Like Toyooka in Hyōgo Prefecture, Maizuru has a climate resembling the Hokuriku region rather than the rest of Kansai, though it is less wet than other Hokuriku towns during the late autumn and winter because its location on a deep inlet means the northerly winds driven by the Siberian High and Aleutian Low do not produce as much rain and/or snow. 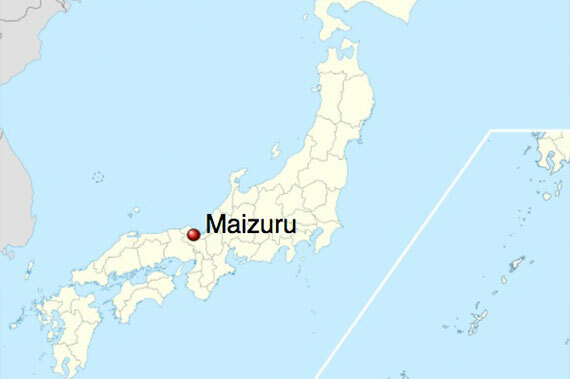 In the summer, however, Maizuru can be extremely oppressive as the intense radiation creates extreme humidity around the bay: on August 13, 1994 the town recorded a minimum temperature of 29 °C (84.2 °F). Storm Marine Holding was established in 2001 as a shipping company. Currently our company provides all the range of services of cargo processing, vessel’s chartering and maintaining in the ports of the Russian Far East. Storm Marine Holding operates as a general agent for the shipping companies in the Russian Far East. We have connections with the best and the most experienced local agents in ports such as Vladivostok, Vostochny, Nahodka, Vanino, Sakhalin.